Staying at home is important for many seniors, and in-home care can make it possible. Seniors do not have to rely solely on family members and friends when living at home. Instead, they can hire an in-home caregiver to help them with daily living. Here are some of the benefits of in-home care for seniors. In-home care allows seniors to age in place. When seniors can receive care in the comfort of home, they are more likely to accept the aging process. The sights your loved one sees in the home, the sounds of the neighborhood, and the closeness of family are things he or she has grown accustomed to, and removing those things could cause his or her health to decrease at a faster rate. However, in-home care allows your loved one to maintain the comforts of home without compromising his or her health. If your senior loved one needs professional in-home care in Clarksville, TN, Home Care Assistance is here to help. We are a trusted provider of respite and 24-hour care, and we also offer specialized Alzheimer’s, dementia, Parkinson’s, and stroke care for seniors. Managing multiple prescriptions can be difficult for seniors. Failing to take medications at the right time could put your loved one’s health at risk, and taking the incorrect dosage of medication could lead to severe health issues. An in-home caregiver can provide medication reminders to your loved one. 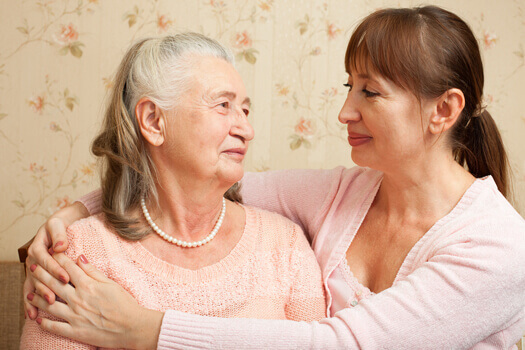 The purpose of an in-home caregiver is to take care of your loved one’s needs. A caregiver’s job is to make sure your loved one is comfortable and has everything he or she needs. This is true regardless if the caregiver is providing care throughout the day or during the night. Your loved one can receive customized care that could boost his or her health and prevent illnesses and injuries. Although an in-home caregiver can assist your loved one with daily activities, the caregiver can also encourage him or her to perform these tasks independently. A caregiver can observe your loved one while performing tasks such as cooking, cleaning, running errands, and doing laundry and only step in when your loved one’s health is at risk or when he or she asks for assistance. Maintaining independence can help your loved one stave off cognitive decline, allowing him or her to live independently for longer. Some seniors only require help with a few daily tasks so they can maintain their independence. However, those living with serious illnesses may need more extensive assistance. Luckily, there is professional live-in care Clarksville, TN, seniors can rely on. Home can be a safer and more comfortable place for your loved one to live with the help of an expertly trained and dedicated live-in caregiver. Seniors crave face-to-face interaction with other people, just like any other age group. With in-home care, your loved one can receive companionship and encouragement to maintain an active social life. The caregiver can cook with your loved one, complete crafts, read books, or go for walks. An in-home caregiver can also encourage your loved one to go to social outings with other family members and friends, or to community events. Preventing isolation could help your loved one stay healthy and reduce the risk of depression. Hiring an in-home caregiver is a cost-efficient option for many seniors, especially those who live on fixed incomes. Your loved one can hire a caregiver who comes when needed, instead of having around-the-clock care. If your loved one needs to rehabilitate after an accident, injury, or health issue, it could be less expensive to receive care at home compared to a nursing home, hospital, or rehabilitation facility. Many seniors prefer aging in place over moving to an assisted living facility. If your senior loved one needs assistance to remain safe and comfortable while living at home, reach out to Home Care Assistance, a leading Clarksville, TN, home care agency. Our dedicated in-home caregivers can assist with meal prep, bathing and grooming, exercise, medication reminders, and many other important tasks. If your aging loved one wants to enjoy a high quality of life in the comfort of home, call us at (931) 444-1950.